MBody Studio is a professional spa offering services exclusively for men. I offer professional massage, body scrubs, body wraps, mud therapy, body waxing to remove unwanted body hair and body grooming to tame body hair. 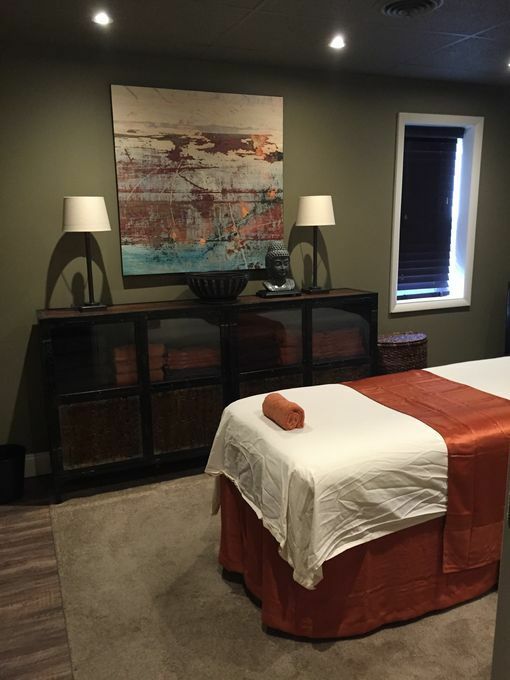 My studio which is located in a suite of a small office building is a masculine space with a waiting area, private bathroom, massage room and "wet" treatment room (for scrubs and wraps) with a shower right in the room. 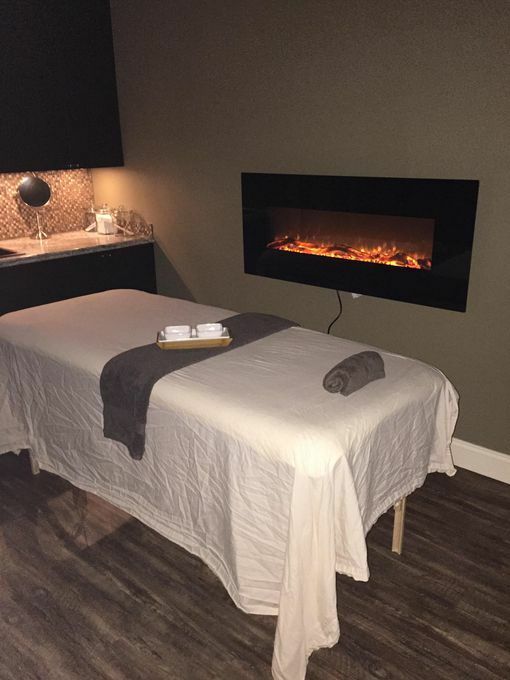 Both treatment rooms have a...More fireplace to keep you toasty warm. My focus during massage is always on the client whether it is for relaxation, stress relief, sore muscles or to improve athletic ability and flexibility. My scrubs and mud wraps focus on detoxification and skin care benefits utilizing all natural products. All men welcome gay or straight. Check out my reviews. Su: 10 a.m. - 9 p.m. Gathered by Christopher from admiring massage clients to share with you. Nice relaxing massage.Chris was very friendly and gave a nice massage. It was not rushed.He kept checking to see if everything was okay. I will definitely be back! I arrived about 10 minutes early, as Chris requested. Was warmly welcomed by him to his very nice, comfortable studio. I scheduled a 90 minute Argan Oil Massage which was heavenly. The warm Argan Oil made the massage so relaxing. This massage was the most relaxing massage I have ever had and I almost fell asleep. His massage techniques were great in relieving the arthritic pain that I have in my lower back, hips, & knees. Im so happy I signed up for the 90 minutes. It was money well spent. Looking forward to going back soon for another massage & perhaps a body scrub. I would highly recommend Chris for your next massage. Great, relaxing massage. Chris was low key and made me comfortable throughout the service. Will definitely be a repeat customer. Chris was amazing. He made me feel comfortable and I have never felt better after my massage! I highly recommend him! Beautiful studio. Chris made me feel very comfortable. Nice, relaxing massage. Great guy, beautiful studio and amazing hands! Had the salt scrub along with waxing. The body massage makes up for the waxing! I have had massages in Boston, Cancun, California. Chris is at the top of my list. Friendly, Courteous, and most of all, can make you relax and get all of your knots out. Makes my neck and under my shoulders lose all the tension. Lasts for days. Highly recommend Chris if you want the relaxed feeling! Have been seeing Chris for 2 years: waxing, skin treatments, and massage. Every visit is a good experience, professional and well executed spa bliss in a comfortable studio. Chris is welcoming, intuitive, and puts you at ease. Look forward to his experienced touch. Went in for a massage because of shoulder pain and. I left feeling fantastic. I will most definitely be back, in spite of the 50 minute drive to get there. I decided to try the salt scrub and Argon Oil massage. The salt scrub was amazing and left my skin feeling quite smooth. The warm shower afterwards felt great. Then, onto the hot Argon oil massage. Chris gives a great overall massage and knows how to hit all the right spots. His pressure is great and I was very relaxed when it was over. Plus, my skin was very happy with the pampering. Highly recommended. in all ways. Services, technique, and facilities. Will definitely be a must do as often as possible. Partner n I had the same services back to back. Going back to enjoy additional therapy services offered. I am finding myself booking my second appointment with Christopher and realized I did'nt write a review for the first. I highly recommend Christopher, he is is very professional, the massage was both relaxing and really worked to relieve sore muscles. The environment is beautiful as well. I am looking forward to many more relaxing visits. Christopher's place is very relaxing & comfortable. The massage was amazing. My most recent appointment with Christopher was for body hair trimming, back wax, partial brizilian and my first massage. Everything gets a five star. The massage with warm Moroccan oil was just what I needed for this cold dry weather we are having. Christopher's hands are awesome. I will definitely be back again and again. Christopher is a really nice guy who gives one hell of a massage. I was also able to have my back waxed which was just perfect. A one stop shop! Just moved to the area so I wasn't too thrilled about the hour drive, but it was definitely worth it! To top things off he's done a really nice job with his studio. Look forward to heading back soon to try one of his specialty wraps...along with another massage! Gentlemen, it's definitely worth treating yourself at anytime and Christmas is just around the corner! Christopher was very pleasant and made me feel welcome. His location was very easy to find, and the interior was amazing! He had very good pressure when giving me a wonderful relaxing massage! I'm looking forward to my next appointment with him. Moody to anyone looking for a relaxing massage. Looking forward to my next a appointment. He was most accomodating during the set up. The space was amazing. He even took me a bit early as I got there sooner than I thought. His massage was the best i've ever had -- i often want the flow of a massage with strength. He did that intuitively! I will definitely be back! This is my third visit to Chris's studio and it just continues to exceed my expectations. The facility is super nice, smells great and the heated massage table is the best. Chris continues to refine his massage as he learns more about me. Just booked my next visit--can not come soon enough! This is my second visit and I must say that it was better than the first great massage. Chris is so skilled and competent. His massage is the best. And, the new location is tremendous -- inviting, spacious and welcoming. I certainly look forward to my next massage with Chris. This review is long overdue. Since this was my first massage, I had many concerns about location, safe parking, safety and a clean environment. Everything exceeded my expectations. Super clean and very professional. I only wished I lived closer to book another appointment. Thanks! This was my first time visiting Christopher's studio and I will definitely be back. It was a great experience. Christopher was able to take me for a 75 minute massage the same day I called, and did wonderful work. He's personable and professional, and provides a beautiful, calm atmosphere. I felt wonderfully recentered when I left. He does great work! Chris gave one of the most professional massages I have ever had. His touch was perfect And I nearly fell asleep several times, I was so relaxed. I also had waxing done, and though this could be painful, Chris made the experience One that I would gladly go through again, given the results. Chris is the consummate professional. On a recommendation, I booked Chris one day in advance. I traveled about 50 minutes to his beatiful and comfortable studio. I signed up for his 120 minute relaxation massage and was definitely not disappointed. I almost fell asleep once. I felt extremely comfortable and relaxed throughout the entire massage. Chris had great hands and knew just how to relax me. I will book him again. The Express Body Buff was stimulating and left my skin with a warm, smooth, and moisturized glow. The massage that followed was wonderful and totally relaxing. Christopher knew what he was about with pressure points and therapeutic manipulation, his touch was experienced and just right. Will definitely be back to enjoy the benefits of his skill. My massage with Christopher was very good and he knows just how to get out the knots and stiffness in my back. He is very easy going and the studio is immaculate and very comfortable. It was a very nice experience and look forward to my next massagve. Also his studio is very easy to get to from anywhere in the Allentown/Bethlehem area. Amazing space and service! Christopher will tailor the massage according to your needs. He's friendly and flexible. I will definitely see him again.